The first session of the 87th Iowa General Assembly adjourned sine die on Saturday morning after pulling an all-nighter to wait for Republican leadership. The decision was about improving Iowa water quality and reauthorizing use of medical marijuana. They did nothing positive on water quality and may as well have let the current medical marijuana law expire, saving everyone the trouble. However, harassment by Iowa Republicans has become de rigueur. The best part of this year’s adjournment is legislators won’t be in Des Moines doing more damage to family and friends. The dark cloud hanging over the capitol is they are just getting started and the second session could be worse. Lynda Waddington summarized my feelings in her Cedar Rapids Gazette column on Friday. I’ll make my stand in Iowa. Unlike Lynda, I was born here and have nowhere else to go without being a refugee. At the end of this legislative session, we’ve weathered the storm and are beaten but not down. It is fitting the session ended on Earth Day. Around the world people rallied to support a scientific method in solving problems. Except for the Dunning Kruger effect, I’d recommend state legislators pay attention. As has become custom on Earth Day, I minimized my carbon footprint and spent time in our garden. The calm winds and abundance of pollinators made conditions nearly perfect for setting apple blossoms. 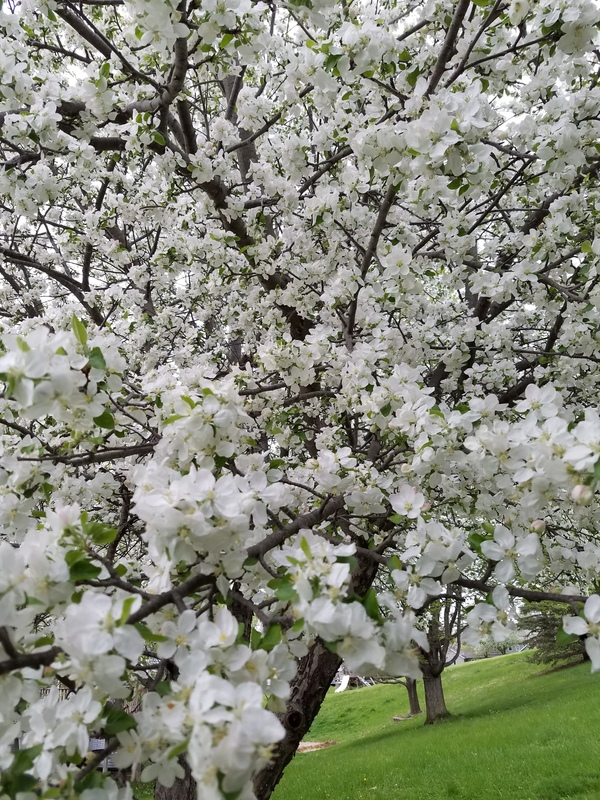 Small white petals already had begun to fall, giving hope that the new apple crop will eclipse all of the bad news from Des Moines. I gardened. 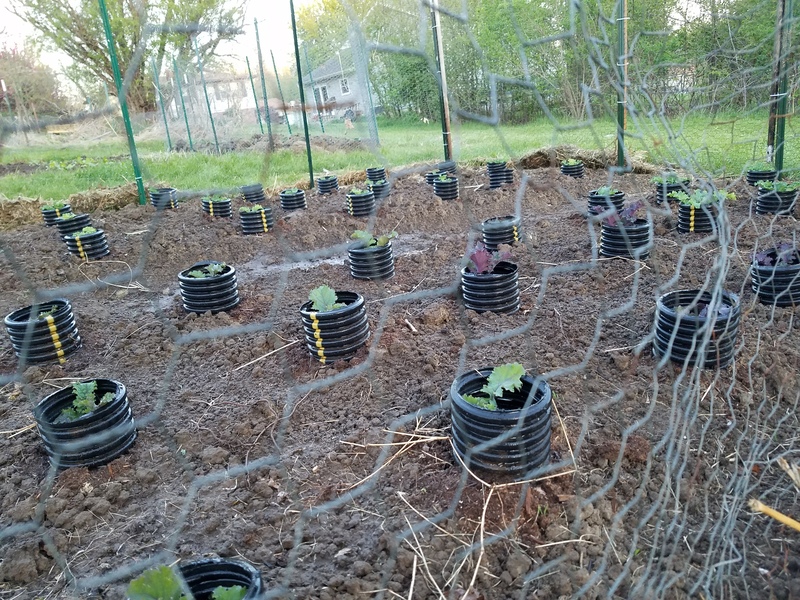 Except for collards, all of the cold weather vegetables are planted. There is plenty of remaining space for crops to be planted after the last frost. I transplanted peppers into larger soil blocks to provide nutrients before going into the ground in a couple of weeks. I cleaned up four soil block trays to take back to the farm on Sunday. I wasn’t alone. While Jacque was at work I did some neighboring and heard the sound of children playing, birds singing and bees buzzing. People took advantage of perfect spring weather to get outside. Social interaction enabled me to stop thinking about politics and I could focus on simple garden problems which were eminently solvable. It’s easy to see that the support for the pea plants was off center, exposing them to predators. Adjusting it took only a few minutes. Our garden and interaction with local food sources make the kitchen part of the garden. 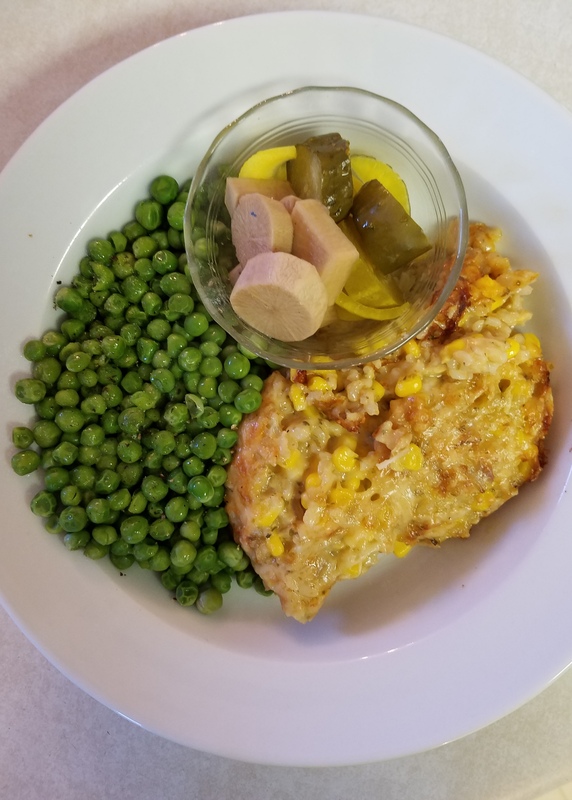 I made a simple supper of corn-rice casserole, steamed peas and a dish of home made pickles (onions, cucumbers and daikon radishes). Such meals go well in our household because they taste good with leftovers to be heated up for another meal. As I entered the world of low wage work in 2013, I stepped back from most social commitments. It’s time to re-engage. This week I re-joined the home owners association board and was elected president. Comes a time for people to step forward and get involved in community. If we seek a better society, our work begins locally. It’s part of what sustains us in a turbulent world. This entry was posted in Environment, Garden, Politics and tagged politics, sustainability. Bookmark the permalink.